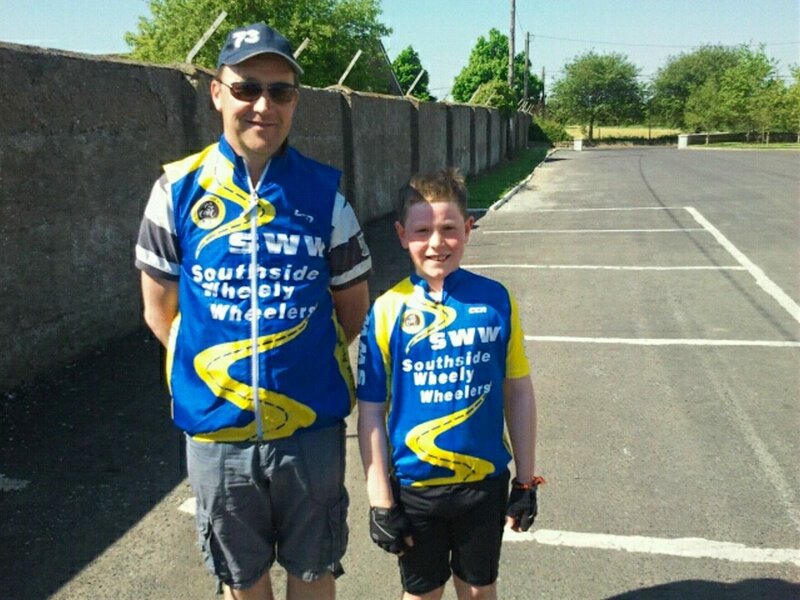 Congratulations to newest member of the club Harry Mullane on becoming the 100th Southside Wheely Wheeler. This is a great milestone for the club to reach and appropriate that it was an underage member that hit the magic number. Underage coach Owen Tobin presented Harry with a set of club gear to mark the occassion. Harry and his fellow underage club members Aaron Passmore, Michael Gammell and Sarah Herbert are training hard on grass for the upcoming Community Games. Massive thanks as always to all the underage coaches who give their time every Saturday afternoon to look after the kids. Thanks also to Bruree GAA for the use of the field. Club members Big Dave Walsh, Mike Sexton, Pat O’Donnell, Paul Gammell, Ber Gammell, Aaron Walsh and Willie McCarthy travelled to Waterford to complete the Comeragh Challenge Tour. This included the infamous Mahon Falls and Seskin Hill so it wasn’t for the faint hearted. Well done to Ber and all the boys. It was a solo mission for Edmund O’Reilly last Sunday. Edmund took on the 120km North Tipp Cycle in glorious sunshine. With the water bottles empty and a lovely bronze glow after his morning in the sun he rolled over the finish line, job done. Good on ya Ed! With the beautiful weather and club members on tour duty the Sunday morning spin was a low key affair. Mind you the smell of Ambre Solaire would knock you as these boys were taking no chances with the early morning rays, something to bear in mind for all cyclists while the sun is shining. Slap on the factor 50 boys and girls. Jerry Herbert, Matthew Gammell, Paul Finn, Owen Tobin, Mike Gammell, Shane O’Brien and Shane Gubbins rolled out of Kilmallock and enjoyed a good spin and plenty of banter. Well done lads. Great Turnout for Limerick Cycling Club Classic Tour. When you’re new to cycling the thought of taking on a 120km tour can be a bit daunting. While a lot of our members have successfully completed tours over the last couple of years, there were more we hoped would take up the challenge. The club website, facebook and carrier pigeons were employed to spread the word that on Sunday May 20 as many club members as possible were invited to meet in Caherconlish, travel together at a controlled pace, have a chat, enjoy the scenery, stop for tea and sandwiches and return to Caherconlish together. Over forty SWW members and a few very welcome guests rolled out of the car park shortly after 9.00am. It was a wonderful sight to see so many blue and yellow SWW jerseys and it was without a doubt our biggest presence at any event since we formed. The plan worked perfectly with tour veterans and tour debutants spinning along together for the day, chatting and laughing and completing the event together. This is what the club is all about and hopefully the less experienced members were happy and encouraged to do it all again in the not too distant future. Thanks and well done to everyone who turned up to this well run event by Limerick Cycling Club. A special word of thanks to the motorbike marshals who were outstanding. Owen Tobin and his sidekicks were busy Saturday afternoon with the underage club cyclists. Preparation for the Community Games continues with more training on grass. Brian McCarthy, Colm Hayes, Aaron Shanahan, Edmund O’Connor, Harry Mullane, Darragh O’Driscoll and Niall Tobin were in action and Owen reports that everyone is putting in a huge effort. Well done one and all. 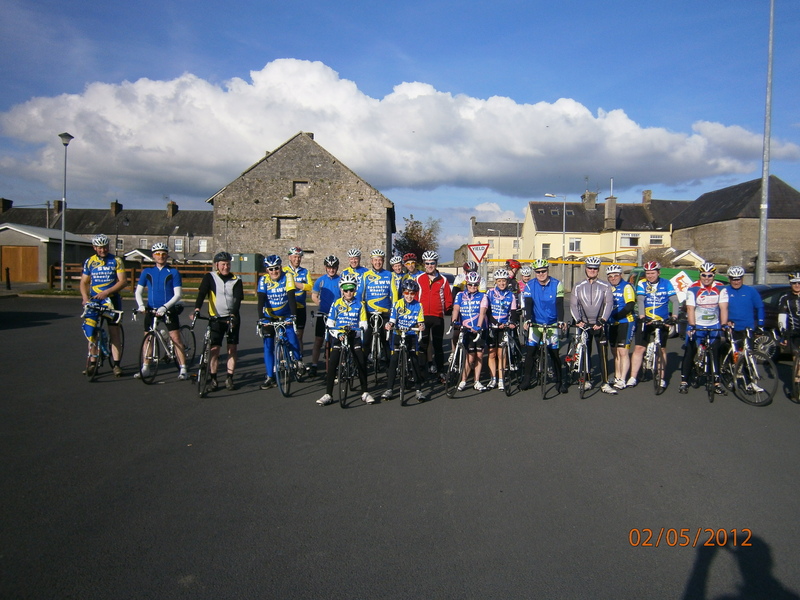 Our Wednesday night cycle was well attended yet again with three groups leaving Kilmallock in different directions. We’re blessed with the weather recently and the bright evenings make it a pleasure to be out cycling. There are quite a few new (new to me) faces appearing so rather than leave someone out I won’t mention any names, I’ll have my homework done for next week. Brilliant to see so many out spinning midweek. Massive congratulations to SWW club mate Daithi Creedon on his fantastic win in St Finbarrs Cycling Club Ken O’Keeffe Memorial race in Whitechurch Sunday 13th May. Daithi’s racing career only started a few months ago so to win so soon is an amazing achievement and testament to the hard training he has put in. This is the first win for the club and everyone is immensely proud of him. Sunday 13th May saw a large turnout of SWW members for the Stephen Roche Tour de Cure cycle challenge in Midleton. As thankfully is the case so far this year we were treated to glorious sunshine, mind you this was tempered by very strong winds. The cycling legend himself took part and was chatting to riders around him on the course. He joined some club members for a photo after the cycle even donning one of our jerseys to become an honorary member. A real gentleman. Completing the 100 and 165km courses were Ber Gammell, Michelle Gammell, Janet Murphy, Mary McCarthy, Paul Gammell, Pat O’Donnell, Stephen O’Meara, Robert Shanahan, Willie McCarthy, Martin Lake,Kevin Mullins, Sam Hand, John Carey, Mike Sexton, Shane O’Brien, Dodo Kelly, Stephen Finn, Brendan Daly, Brendan Houlihan, Ger Finn, Mike Gammell and Stephen Hehir. Thanks to Jack and Jill for their efforts on the mountain and Forty Cent for sharing his wisdom on leg shaving etc. This was a tough course so well done everyone. It’s all go for the Southside Wheely Wheelers at the moment. Daithi Creedon, Big Dave Walsh, Brendan Houlihan, Stephen Finn and Mark Mullins headed to Kanturk to fly the racing flag. As it’s a three day event finishing Monday I’ll post full results during the week. Our underage star Mark Mullins performed well in his race on Saturday finishing in the bunch. He’s getting faster every time he goes out, well done Mark. Ger Finn, Brendan Daly, Simon Kelly, Mike Gammell, Shane O’Brien and Dodo Kelly left Kilmallock at 8.00am Sunday morning to visit the Vee. Travelling in glorious sunshine they passed through Knocklong, Ballylanders, Mitchelstown, Ballyporeen, Clogheen and up the famous and most beautiful Vee. Stopping for a few minutes to take in the view before heading home through Kildorrery to complete a very useful 130km. Great crack was had by all and no sheep were harmed on this journey!! The Laura Lynn 60km Charity Cycle started in Granagh Sunday morning and saw yet more SWW members in action. Owen Tobin, John Carey, Mike Sexton, Brian McCarthy, Jimmy McCarthy, Gary Tierney, Matthew Gammell, Andrew Gubbins and Paul McCarthy. A great cause so well done for supporting it lads. On Saturday, club member Stephen Hehir headed to Kerry and completed the 110km Dingle Peninsula Challenge, taking in the Connor Pass. Well done Stephen. Underage Community Games training took place in Bruree GAA field Saturday afternoon. Well done to the kids and trainers. Same time, same place this week. New members are always welcome to join our club, all you need is a bike and a helmet and you’re off. We have club spins Wednesday evening at 6.30, an easy paced cycle (perfect for beginners or those returning to cycling) at 9.30 Saturday morning and our Sunday spin at 8.30am. All leave the car park beside Kilmallock Cycles. There’s a group for everyone and every fitness level so don’t think you’ll be left behind. There’s plenty of chat, advice if you need it and you’ll get fit into the bargain. 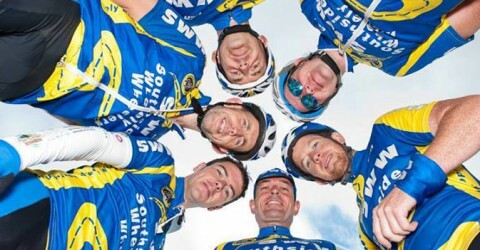 Keep an eye on our website www.southsidewheelywheelers.com or call into Paul in Kilmallock Cycles who’ll be happy to tell you about club activities. Last Wednesday saw a great turnout of Wheely Wheelers for our midweek spin. Two groups headed to Bruree, Ballyagran, over Castletown Hill to the NCW road and home. Two of our very promising underage riders, Brian McCarthy and Mark Mullins were taken on a different route by Owen Tobin and Jimmy McCarthy to clock up more miles and improve their roadcraft. Everyone enjoyed a great evening cycling in beautiful sunshine. Out spinning were Dave Walsh, Simon Kelly, Matthew Gammell, Michael Gammell, Paul Gammell, Shane O’Brien, Jonathan Moloney, Willie McCarthy, Dodo Kelly, Sean O’Sullivan, Robert Shanahan, John Carey, John Crowley, Stephen O’Meara, Stephen Finn, Jerry Herbert, Jerry Ryan, Michelle Gammell, Ber Gammell and Mike Sexton. We have some ladies and gents club gear available so if you fancy adding to your cycling wardrobe contact Mike Gammell on 086 0651872. Mike still has some club gear from the last bulk order waiting to be collected so if you placed an order and haven’t picked it up yet please contact Mike. We’re trying to make a decision regarding club leisure wear and have some samples available for viewing at Kilmallock Cycles. There’s a fleece top, polo shirt and tracksuit pants with club logo for €62.00. We want to place an order by Friday 25th May so drop in and have a look. Please contact Mike Sexton on 087 9188375 with your order or opinion on the samples. As agreed at our recent club meeting it has been decided that we’re going to complete the Limerick Classic Tour on May 20th as one group. This is a 120km tour and we’re going to travel at the pace of the slowest person in the group. No pressure, just enjoy the spin. So if you’re thinking about a tour but you’re a bit worried about being able for it this is the day for you. Bring your Cycling Ireland licence, sign on that morning and away we go. Sign on starts at 8.00am in the Millenium Centre in Caherconlish, €15.oo with licence or €25.00 without, tour starts at 9.05am. Have a look at www.limerickcc.com for all the details. Lets get as many SWW members travelling together as possible.